It sounded like Volkswagen’s ultra-dominant World Rally Championship team would be able to end their final season in the sport on a high note because, well, they usually win. While most of their wins are thanks to rally whiz Sébastien Ogier, today at Rally Australia, it was Andreas Mikkelsen’s turn. Mikkelsen drives Volkswagen’s third Polo WRC car, such that he’s listed under a separate Volkswagen Motorsport II team from their two main drivers. Much like Audi’s assorted factory sports car drivers during today’s 6 Hours of Bahrain, the VW rally squad drove much of Rally Australia like they were auditioning for new gigs this weekend. Mikkelsen took control of the top of the standings right away, winning five out of the six opening stages on Friday. Dominant teammate Ogier was the first out on the dusty stage roads and fell as low as eighth on the first day, but eventually climbed his way back up in the standings. Fellow Volkswagen teammate Jari-Matti Latvala, unfortunately, had the worst time of them all. Latvala hit a bridge on the opening stage and losing a significant amount of time after that crash broke his rear suspension. Still, during later stages, he told WRC commentators that he felt more confident in his car during this rally than he’d been in a long, long time. In the end, though, Mikkelsen continued his miracle run, staying in control of the lead all through Saturday despite a bent clutch pedal that held his brake pedal down during one stage and forced him to lose a large chunk of his lead to Ogier. Mikkelsen made that time back up today, ending the rally with a 14.9-second lead over Ogier. Latvala finished ninth. This is such such a bittersweet day for fans of the Volkswagen Group’s motorsport efforts. Mikkelsen’s Rally Australia win means that both Audi’s World Endurance Championship team and Volkswagen’s World Rally Championship team will exit with one last win. Even more incredibly, Esapekka Lappi, who runs a lower-class WRC2 Skoda, managed to beat out top-class WRC drivers Latvala and Lorenzo Bertelli. 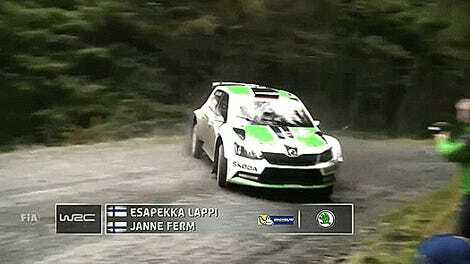 We’ve noted that he’s insanely talented before, and here he is, cruising home to another WRC2 victory. 2017 already feels weird without Volkswagen in the mix. Hopefully everyone displaced by Volkswagen’s exit doesn’t mean that guys like Lappi are prevented from moving up to the main show. 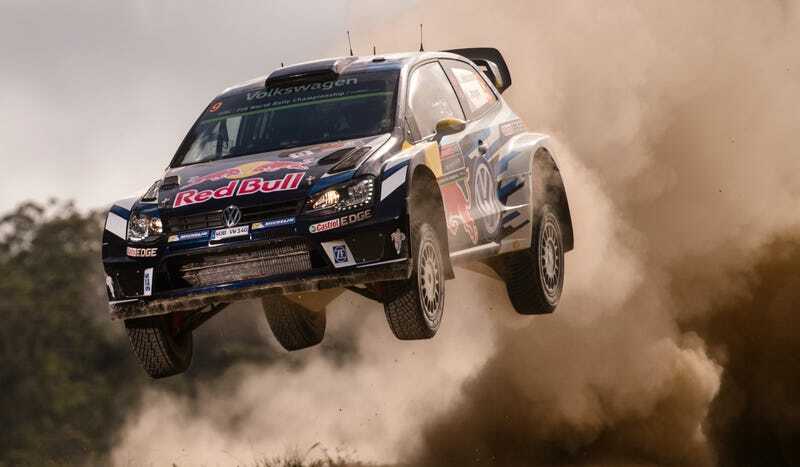 Volkswagen already clinched their fourth manufacturer’s title in a row earlier this season, and Ogier had already won the drivers’ championship. Today’s win secured Mikkelsen’s third place finish in the season drivers’ championship. Volkswagen started competing full-time as a manufacturer in the sport in 2013.